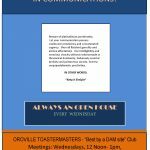 "Best by a Dam Site" Oroville Toastmasters | Oroville Toastmasters serving Butte County's lunch crowd. 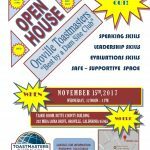 Oroville Toastmasters serving Butte County's lunch crowd. to speak in a convincing way? as you think each day? it’s really lots of fun! 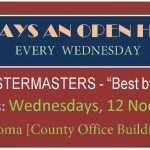 as you become a Toastmaster! Now I would say that because I was a speaker. We had a low attendance meeting but as is out creed, we were driven and able to occupy all positions….even though Cole did double duty and did two evaluations in order to claim an uncontested “best evaluator” award. 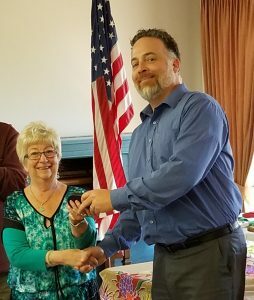 Our table topics were varied and centered upon current events…Newbie Rodney took the prize mostly because he revealed so much of his personal story. Table topics is a very subtle means of learning about your fellow toastmasters….over the years it fortifies and strengthens your relationships. April Showers gave an impassioned speech that discussed the “Journey” over the destination with regards to Toastmasters. She is a dedicated, accomplished and inspiring Toastmaster that truly wants success for our club and is focused on that effort. I gave a convoluted, poorly developed, net less speech on Leadership…under the guise of humor…holding back sarcasm, contemplating oxymorons and contemplating Shakespearean tragedies…. I was able to deliver to my audience a relatively cognitive dissertation without once relying on a “knock-knock” joke. CLUB OFFICER’S MEETING A SUCCESS! Under the leadership of club President, April Showers, “Best by a Dam Site” Toastmasters had an offsite club officer’s meeting at Roundtable Pizza in Chico. With a pizza box acting as a dais, lofty goals were envisioned and set which would challenge any good Gant chart software program. 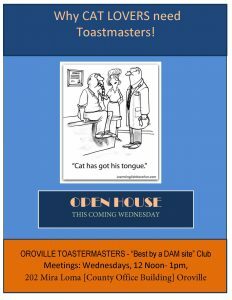 While the fall international HUMOR contest is no longer held at the club level, Oroville Toastmasters will conduct their own version of the event in order to bring those members wishing to compete and gain some experience with the contest processes. Other members will be tasked with the arduous task of JUDGING that incorporates listening to the speech or evaluation, quantifying a value-to-task measurable and simultaneously putting their cell phones on airplane mode. Speeches are open to any subject or style except maybe PATHWAYS. Somewhat like a hangover after the advancement of our very own Cole Garcia to the next level of competition in the International Toastmasters contest this week’s meeting was lightly attended. Time to see where the final competition will be held….IRAN??? because I see success depending on the rest of Cole’s life experiences. Our meeting this week was a bit weak with four people showing…Other clubs would have a collective nervous breakdown with such a turnout…Not Us…No Problema…just an opportunity to talk more without the pesky Grammarian looking on. Happily our newest prospect DANIEL showed up. 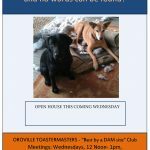 Of course a prospective new member always brings the best promotional instincts for Toastmaster to the forefront…. April Showers giving a great summary of how meeting are conducted…being interrupted by those of us surrounding her. Our next Month’s schedule is under construction…but it has been confirmed that Anne will be giving her first ICE BREAKER speech. Hope you all can attend. 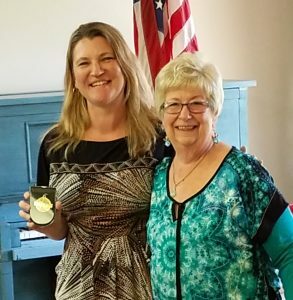 This past Saturday (April 21st) in Marysville at the Cal Trans building, a vigorous Toastmasters Speech and Table Topic competition was held to send forward our very best from Division C to the District 39 Convention that is this May 18th. Our very own Cole Garcia represented the Best by a Dam Site and Area 31. 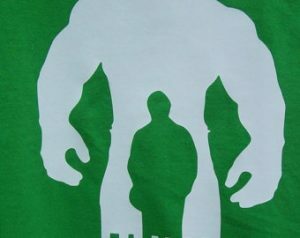 He drew the last spot in the competition and won the hearts of the judges explaining the nuances and conflict surrounding telling a 5 year old that being the HULK is a pretty difficult goal to achieve. This is in two minutes mind you. The club was well represented as five of us elected to avoid our gardening for one more day. So congratulations to Cole! APRIL 21ST, SATURDAY (1pm – 4pm) If you are thinking of mowing your lawn, it is just going to grow more! If you are thinking about going to the Farmer’s market, go early and get the good stuff or late and get the free stuff. Thinking about just sitting in the sun and relaxing?…..that is what your relatives think you will being too….best to be out of town! THIS SATURDAY, “Best by a Dam Site” Oroville Toastmasters will be represented by their finest couple, COLE GARCIA and JENNIFER GARCIA. They will be demonstrating and competing in the Table topics contest and Speech contest in the Division C, District 39 Toastmasters contest. LOCATION: CAL TRANS BUILDING, 703 B street, Marysville, California. Sticks and stones abound, an intricate pattern that I know so well. Leaves of all variations form a walkway to peace and understanding. Deer nibbled berry bushes line the path I love so dearly. With so many years, the quintessence of the lake knows my every secret, my fears, and my very soul. With so many years, I am responsive and aware of every change the elements force upon my beautiful place I deeply cherish. Banana slugs and salamanders share the 5-mile road I travel. The great diversity of animal footprints in the mud and snow remind me that I am a guest; I want to trust that I am welcomed because of my sincere appreciation and gratitude for their home. The sunbathing turtle jumps into the water so quickly I see what resembles a military helmet sink into the water. I am pleasantly distracted from whatever issue I was working on and watch, I ask myself now why does a turtle need such protective gear? Yes Lisa, turtles need protection too. Only once on my weekly adventure was I found guilty of killing a member of a diverse and largely carnivorous group of short bodied, tailless amphibians known as the Frog. I was sitting on a log near the water’s edge basking in the warm sun, listening to the wildlife around me, which included the continual sweet sound from a nearby frog. As I stood, eager to conclude my therapy by nature – I scared the frog, forcing it to jump into the water; I was terrified to see the frog immediately in the mouth of a large mouth bass, with only his little legs sticking out, within seconds the entire frog was gone. My heart sank, my somber walk became quiet, I startled a pretty little deer, and myself as we had not been paying attention to our surroundings. This is only the loveliness of the path I take. I am the luckiest girl in the world. The shoreline – cluttered by nature made beauty, surrendering itself to the ravaging conditions of the wind, rain, snow and sun from the years before today, is another story for another day. The lake – proving that it is mandatory to succumb to the forces of the current weather situation. On still, breathless days, the water resembles a piece of reflection, perfectly portraying the surrounding stately trees. Many dispositions this lake does have, and again another story for another day. Two authorities in our County food concerns will give presentations this coming week. Of course they might leave their work at their desk and talk about any subject haunting them…whether it is “How to Make Raviolis” or reviewing the biography of their favorite personality, the diversity of subject matter is always inspiring. Hello All; It was with a proud assembled group of Oroville Toastmasters assembled, that the Garcia family was able to take home gold medals in the two categories of the contest; Best Table topic went at last to Cole Garcia who was pitched a fat slow ball when asked about “list making”…His beautiful list-making significant other and inspiration, Jennifer in her first try managed to capture the Speech contest award centering her attention on the world’s state with regards to our finest resource, our children. Looks like the Garcia family will be needing to build a trophy room in the near future. April Showers is a very proud Leader!